MTB Group is a real estate development firm that has been building throughout the GTA for over 25 years, and they're looking to continue that trend. They have performed in various capacities in the development process, and this has made them among some of the most reliable industry professionals around. They are able to find continued and diverse success in the city by adhering to a simple philosophy that allows them take ownership of each one of their projects. In their quarter century of prosperity in Toronto real estate, they have been involved in various aspects of the development industry. In their time as a real estate developer, they have worked in capacities that include acquisition, development, marketing, and construction. This diverse set of expertise means that they are able to take on nearly every aspect in the real estate industry. They were able to find success in these different fields because of their central corporate philosophy. They believe that each home they build for their clients belongs to them first. This means that they are proud to take ownership of the projects they build. They don’t just develop condos without care, they meticulously ensure that each detail and feature is perfect for you and your family before they deliver the final product. They don’t just do this to build homes that look nice, they also endeavour to build homes that last. This is due to their dedication to quality craftsmanship that can be seen in each one of their projects. They claim that these dedications to ownership and durability is just how they’re built, and it also informs how they build. Each project is undertaken with a distinct passion for design and need for precision. 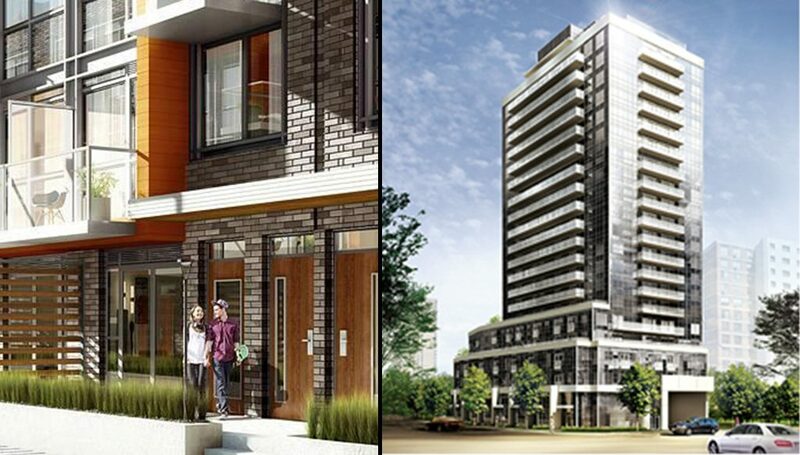 These tenets can be seen in their new project coming to the Parkwoods-Donalda neighbourhood in North York. The Seventy 5 Urban Towns is going to bring density to the region in the form of condos and towns. This development will be divided into 6 different blocks, and the units are perfect for families as they each have a minimum of two bedrooms. This development shows off cutting edge design by infusing dark, charcoal coloured brick with fetching wooden highlights that protrude out of the buildings. This architectural design combines a classic approach with a modern flair, and it demonstrates everything Toronto’s architectural legacy is all about. All of this adds up to this developer’s deep commitment to placemaking and city building. Toronto is in a unique position in its history. It is a massive city with a defined culture, but it is still growing both in terms of population and identity. It is a tremendous opportunity for builders who are looking to leave their mark on a global city. This is not something this developer takes lightly, and that is why they strive to focus on the details. From meticulous planning, to large scale city building, a dedication to precision and an adherence to ownership will do marvelous things for building communities in which we can all live, work, and play. Your chance to be part of that legacy is here! Make sure you click the Registration Button so you don’t miss out on any amazing deals coming from this developer! This developer teamed up with some of the industry’s most recognizable names to bring Neon Condos to one the best locations in the city. This 20 storey high-rise brings 218 units to the fabulous neighbourhood of Yonge and Eglinton, which Toronto Life Magazine recently rated the number one neighbourhood to call home in the entire GTA. 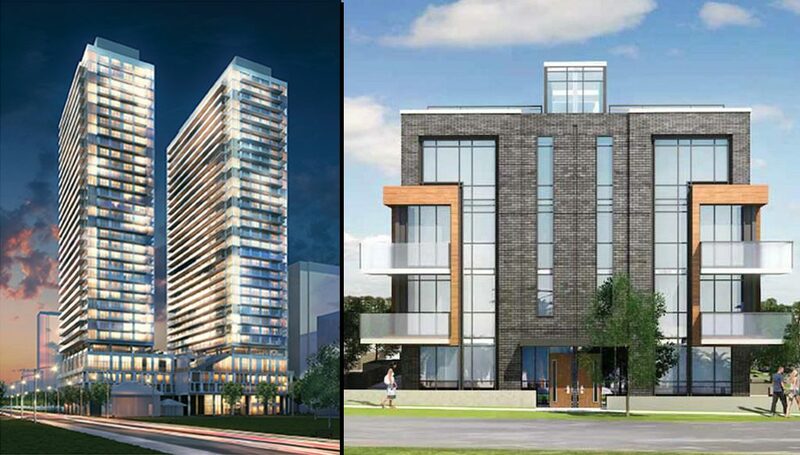 This neighbourhood is about to get even better due to the incoming Eglinton Crosstown LRT. This new light rail system will make getting around Midtown Toronto infinitely easier, and it will create one of the city’s primary transit hubs in Eglinton Station in the process - which happens to be this project’s local station. The units are outfitted with custom style kitchen cabinetry, quartz or granite countertops, stainless steel appliances, porcelain tiles in the washrooms, and so much more. The world class amenities here include a rooftop terrace, exercise room, yoga & pilates studio, party room, and more. It was completed in 2016, and its address is 58 Orchard View Boulevard.